Sewing and creating with fabric, yarn, or thread, has always been of interest to me because of my love of color and design. My mother and her seven sisters were talented and creative in embroidery, quilting, making clothes, crocheting, and knitting. My father was artistic and shared his love of color and design with me. Even though I was surrounded by these talented people, my actual attempt at any of these skills was limited. I did crochet, embroider, and make a few outfits for myself; but I never really put time or energy in pursuing real knowledge or improving skills. I learn by watching and doing. Sitting side by side with my mother and aunts, I picked up some basic craft skills. After 42 years of teaching, I retired in the summer of 2014. Now it was time to embark on a new journey. Now it was time to develop some skills and interests outside of the field of education. My only attempts at quilting were simple projects with my elementary students. The biggest project I undertook was making a quilt for my mother in law. I had each of the eleven grandsons draw an image that reflected time spent with their grandmother. I had no idea what I was doing, but the project was finished. In 2015, I attended the QuiltCon convention in Austin, with my sister, and I have not been the same since! I have met many creative people in this world of fabric, color, and design. I am enjoying every minute of the learning process and hope to continue to grow. Hola. Me encanta tu página acerca de mí! Saludos desde Finlandia. 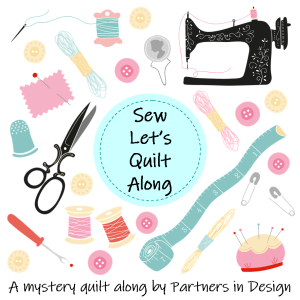 Ah – Quilt Con. So cool you were there. I bet it was inspirational!